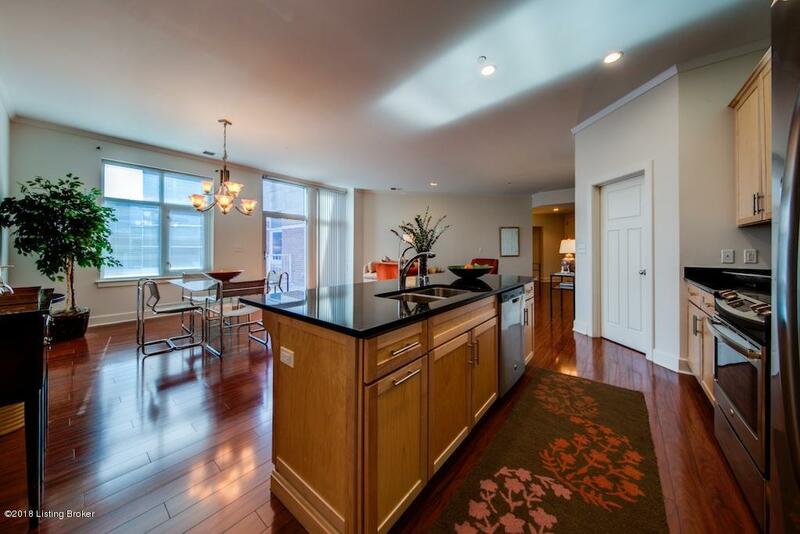 Luxury Living in the Heart of Downtown Louisville! You'll love coming home to Fleur-de-Lis, a State-Of-The -Art mixed use development.5-story steel & concrete stunning architectural accomplishment featuring 82 luxury designed homes (be sure to see pictures). Condos feature 10' ceilings, Beautiful gourmet Kitchens with Stainless Steel appliances, custom cabinets, Granite/Marble countertops, tile back splash, gas range and large walk-in pantry. Wood, laminate flooring and ceramic tile throughout with near sound eliminating extra thick concrete floors/ceilings and walls. Large Master Suites with Walk-In closets and Master Bath (Second bath features Jacuzzi style tub). Condo ownership includes 1 indoor secure parking spot (additional space available) in the basement parking garage. 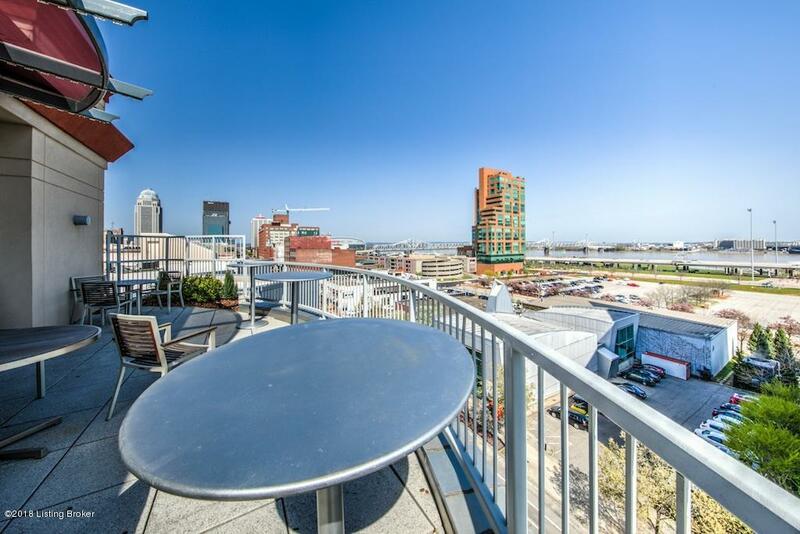 Amelandscaped walking gardens, fitness room, roof top terrace (with fantastic views of Louisville waterfront), party room w/caterer's kitchen,2 elevators and secure parking garage. 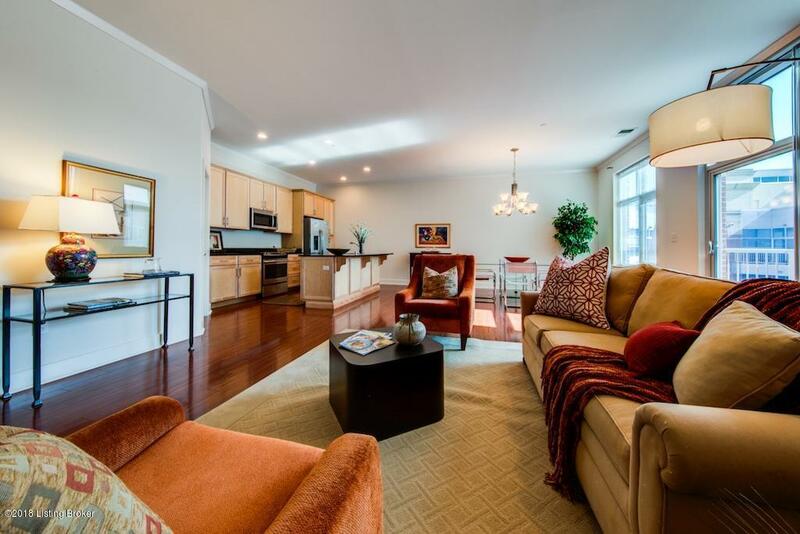 Condo fee includes high speed internet, water/sewer, gas, trash/recycling, master insurance, grounds maintenance, common areas, use of fitness room, 2 elevators, 2 courtyards, party room, roof-top terrace, basement parking garage. 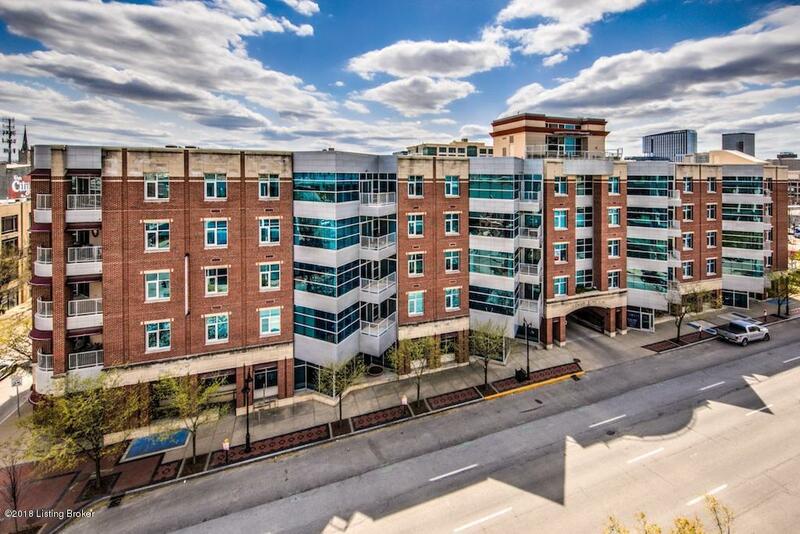 Live within walking distance Waterfront Park, NuLu, Yum Center, Slugger Field, of the Central Business District, Louisville's Medical Complex, the Main Cultural District, many fine restaurants and immediate access to highways! **Photos represent several models that are being sold** only a handful of condos remain. Come see these today!